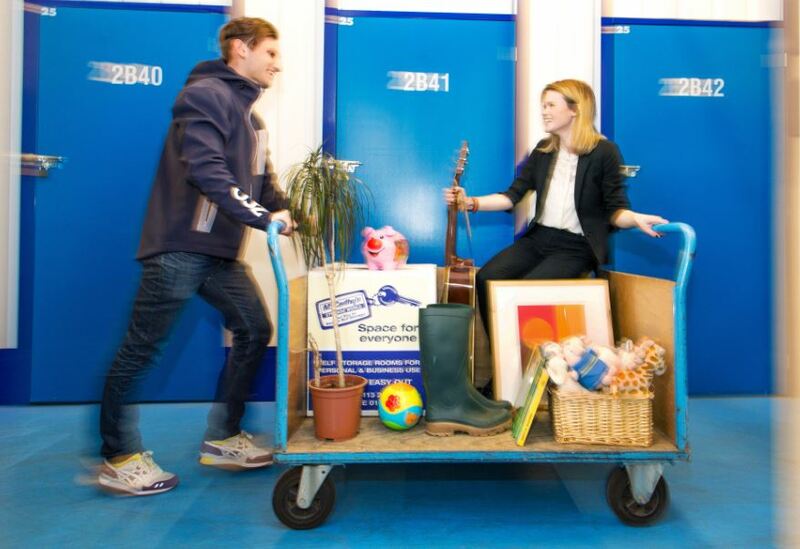 People use our self storage for a wide variety of reasons – business and personal. For some people it can be a long term plan to create more space for themselves – for others it can be a short term arrangement to meet a particular need. Why did you need self storage? We were having some building work done at our house – a partial garage conversion and turning an unusable conservatory into a proper room. With three young kids we needed the extra space! However, that did mean that we had nowhere to put anything while the work was taking place. Our garage was full to burst, and needed entirely emptying, along with the contents of two rooms. Why did you choose McCarthy’s and how easy was it to get the storage space? We’d heard lots of good things about McCarthy’s and felt it was a name we could trust. The process was very straight forward. We got in contact to explain what we needed, and Sarah told us what kind of space we might need and how the storage units work. We were given a straightforward quote, and we were able to get access that very weekend, when we needed it! We were told we needed a padlock for our unit, but as we didn’t have one we were grateful to hear we could buy it from the shop at the storage centre, as well as boxes and packing materials. How much storage space did you take and for how long? Our unit was 125 sq ft, which was ideal for what we needed – not so big that we felt space was wasted, but big enough so we could get access to things as needed. We originally took the unit for a month, but – as is the way with these things – the building work took a lot longer than anticipated! So, in the end, we extended it three times – eventually needing it for almost three months. It was a huge relief to know we could just get in touch and ask for the extension when we needed it, and not to have to worry it would be an issue. What did you find most useful about McCarthy’s self storage in Leeds? It was all very straightforward and quick to organise and everyone was very friendly and efficient. The storage centre is in a convenient location with loads of parking and having the pin code and padlock access meant we were free to come and go as we needed. We did realise we needed something back fairly quickly, so it was a good job! In addition it felt like our items were kept very safe and secure. We also got a quote for a man and van service to help us with moving the items – we didn’t need it in the end as we roped in some friends to help, but it was good to know it was a possibility. Would you recommend McCarthy’s self storage? Absolutely! We’d never used self storage before, but I wouldn’t hesitate to use McCarthy’s again or to recommend it to someone else in a similar situation. I can also see how useful it would be for when you need to move home or in other situations. You can never have enough space! If you think you might need self storage facilities in Leeds, Harrogate or Wakefield, why not get in touch with one of our friendly team?